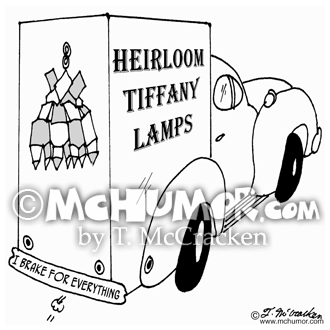 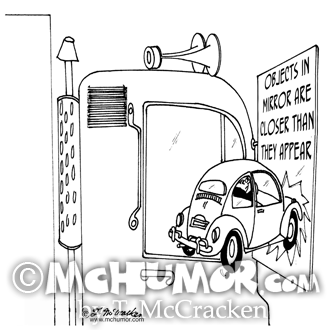 Truck Cartoon 4246: A VW embedded in a huge truck mirror that has a sign, "Objects in mirror are closer than they appear." 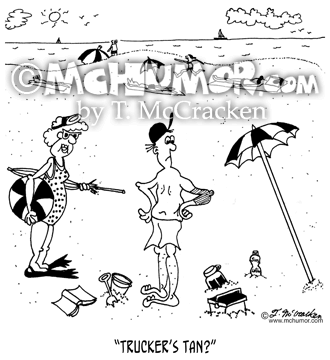 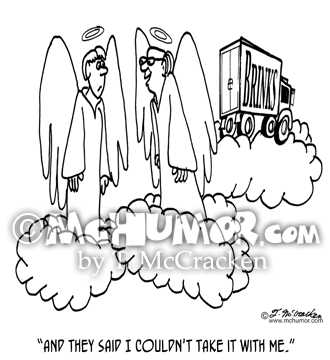 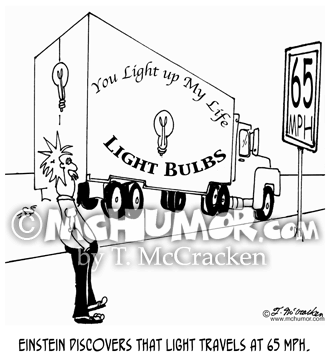 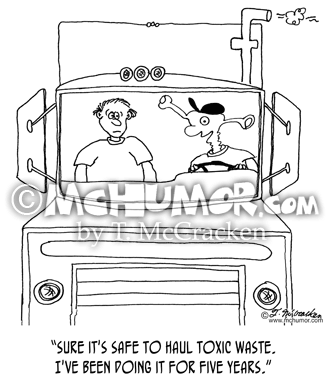 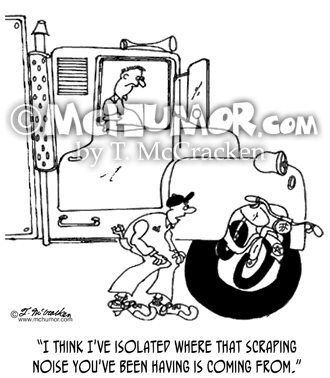 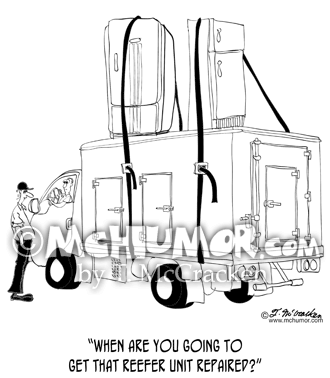 Truck Cartoon 4213: "The day the scales broke down at the truck weigh station." 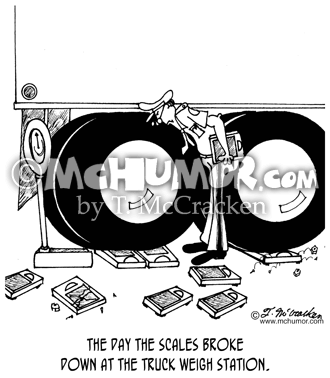 An inspector uses several household scales to weigh huge trucks. 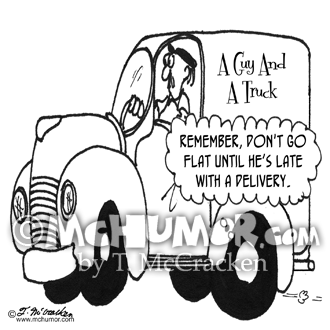 Truck Cartoon 4770: A truck tire to another, "Remember, don't go flat until he's late with a delivery."